Learning standards such as the Common Core grounded in behavior or Competency Frameworks are simply a means of prescribing the desired ‘orchestrated dance’ of necessary experiences to get the desired neural changes. Preventing parents and taxpayers from grasping that essential fact appears to be at the heart of all the False Narratives. The most recent one hyping a supposed national database of PII pushed here https://truthinamericaneducation.com/privacy-issues-state-longitudinal-data-systems/stop-congressional-assault-student-privacy-parental-rights/ had my inbox busy yesterday and this weekend. Now given the highly emotional language APP chose to use, parents are apparently to be driven to react from fury instead of to facts and apparently to defer to the fact that there are attorneys involved (as USPIE asserted). Because attorneys never misrepresent anything for the benefit of their paymasters. Someone doesn’t get out much into the real world. Anita Hoge also wrote a related article bemoaning a national data base called “Can the Motherlode of Federal Data Hurt You?”. So much of this psychological manipulation of children could be prevented if we could just eliminate the deliberately false narratives as well as the mistaken ones. When the purpose of education goals is neural rewiring, the national data base hype is a case of misdirection. Don’t look here! Evidence-Based Policymaking in education is always neural in either its purpose or as a tool. Evidence-Based Policymaking is simply what the Russians called Upravleniye–the steering of people and institutions by government officials at every level according to prescribed goals and models. Governments want to establish the goals and then force all of us into compliance. No need for a national database to do that, education, especially when coupled to a False Narrative of what is really going on, will do fine. http://www.governing.com/col-pay-for-success-savings-trap.html from last month is a much better synopsis of Evidence-Based Policymaking and lets us have an honest conversation as to whether we want to be a society now organized by governments to be malleable and compliant. That’s the real authoritarian purposes. That’s not really true, but if it is believed by teachers and administrators and put into practice in schools, the kind of mind a student has can be neurally rewired. I have noticed that the deceit gets fast and furious, just like the recent hysterics over the weekend, whenever the subject of neural rewiring gets broached. If we are to avoid the mass drowning in governmental controls of the Upravleniye/ systems science blueprint, that can happen to lemmings that react blindly to what they are told and believe, we should understand why the Subjective is under such an organized, but covert, attack. Greenspan once again told us while laying out what he regarded as “Our Human Imperative” in his Conclusion. Eliminating those dichotomies and putting those structures and disciplines in place is what is really going on with Evidence-Based Policymaking. Unless we want to have our children’s minds and personalities further remolded by this compatible vision of education and the planned public policy steering of our workplaces and cities to proceed, we need to discuss what is really going on in terms of the reality being put in place, not the Guiding Fictions created by False Narratives. The False Narratives simply try to prevent us from the panoptic vision of education and the desired transformations that actually fit into place at every level like finely crafted, meshing gears. All in one view at every level. 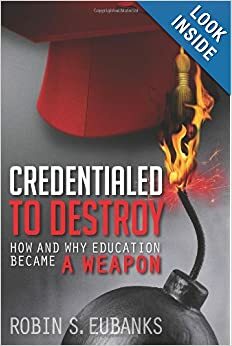 We need the panopticon of education reforms that started with Credentialed to Destroy instead of this planned shroud of deceit we were supposed to fall for like lemmings.